I went to the Christian bookstore in town to check the price and look at an idea for a Christmas present for someone. I checked, then got totally side tracked in the book section of the store. I really have a desire to teach girls and help them make godly decisions in their life as they struggle with surviving jr. high and high school. And to help them make godly decisions when it comes to boys. In highschool someone gave me the book Lady in Waiting by Jackie Kendall. I didn’t read it until college. Through BSM (Baptist Student Ministry) I joined a small group of girls that did weekly Bible studies. At one point we read through Lady in Waiting together and discussed our thoughts of it. I gave my book to a friend after the study for her to read on her own, and am now wanting a copy of my own again. 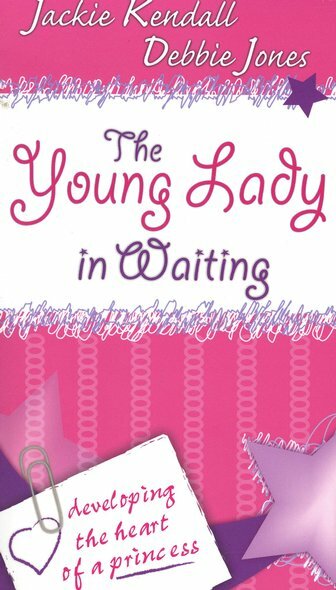 At the bookstore I didn’t find it, but I found “The Young Lady in Waiting,” by the same author. As far as I can tell it looks pretty much like the same book, just a cuter cover to attract the teens. I have been thinking about putting together an all girl small group during the week and studying this or something like it. I was thinking the copy I read might be a little old for them, but I am so excited to find a teen version! I almost bought it today, but would like to find a copy to borrow and read to see if I should follow through. I have been thinking about waiting until my small group is done with confirmation to do this in depth girl study, meaning starting next Fall we could do it, but I think some of the older girls in the youth group could benefit from it. A girl at school that I work with has really got me thinking today and yesterday on this, really wanting to reach these girls before they graduate and are on their own. I also found some books that look like they’d be great for me to read when I am finished with, “A Woman’s Walk with God” by Elizabeth George. (Which I highly recommend you read if you have not..and you’re a woman.) 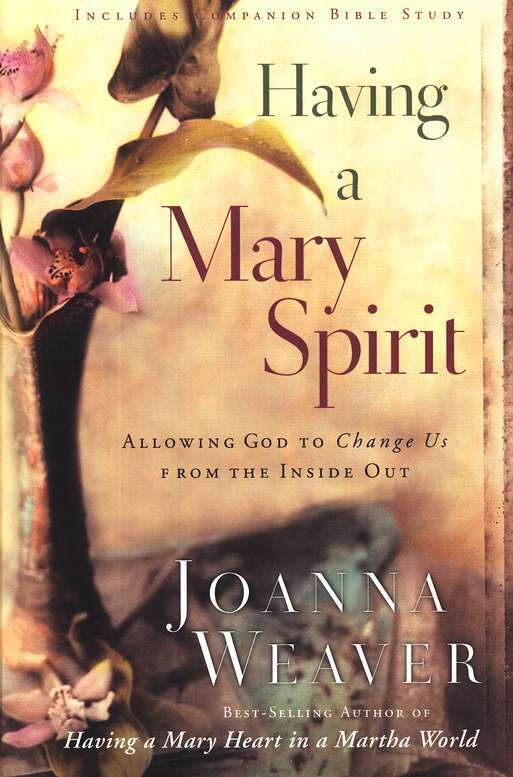 They are, “Having a Mary Heart in a Martha World,” and “Having a Mary Spirit” by Joanna Weaver. I read the back of them, and the 2nd one sounds really good! Every Tuesday evening for over a month now we have had a small group of adults in our house to study the 40 days of Purpose. Every evening when I am still trying to get things in order before people come and they show up while I try to finish something, I always think of the story in Luke 10 about Jesus going into Mary and Martha’s home, reminding me to stop working and build a relationship with the people in my home. Back on the topic of teens, there was a book that caught my eye first today and that is, “Secret Keeper: The Delicate Power of Modesty” by Dannah Gresh. This is another huge passion I have with girls. As a teen I didn’t understand how much power there is with dressing modest. I remember being so mad that my dad made me change into longer shorts before youth group one night trying to explain why I shouldn’t wear short shorts, but I wasn’t willing to listen and learn. Now that I am married, Tim has really opened my eyes to the world of boys, and I would like to pass some of this wisdom to the girls in our church. If you have girls of your own or work with them, this website looks like a good resource, I haven’t looked at it deeply, but it looks like it’d be good. You might try checking with your local library. Ask them to do an ILL on any of the books that their system doesn’t have. It may take a little while but can be a great money saver to make sure that you like the book before spending your money on it. Thanks for the idea! I’ll have to look into it. So much better than spending my money if I can borrow. Also I did Lady in waiting one on one with a youth volunteer when I was in high school and it had a huge effect on me so I would encourage you in the possible small group you are think of, I think it can be great!